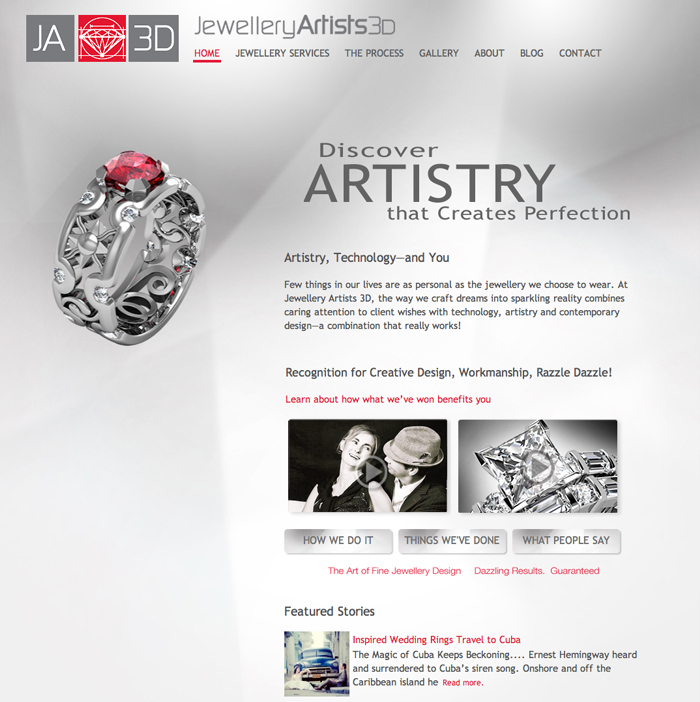 Owned and operated by a knowledgeable and passionate husband and wife team since 1960, Jewellery Artists 3D creates custom-designed jewellery using the latest state-of-the-art technology. Their meticulous manufacturing process unites art and science to create incredibly detailed and precise pieces, perfectly crafted for custom design. Our task in building the JA3D brand was to promote the unique advantages of this method and emphasize the unity of artistry and technology. This we achieved through strategic visual advertising, a modern website with informative content, and engaging print media campaigns. Focus on local, artistic, and progressive technology was key to their overall message and brand identity, so we carefully combined stunning visuals with comprehensive text to bring together the whole picture. 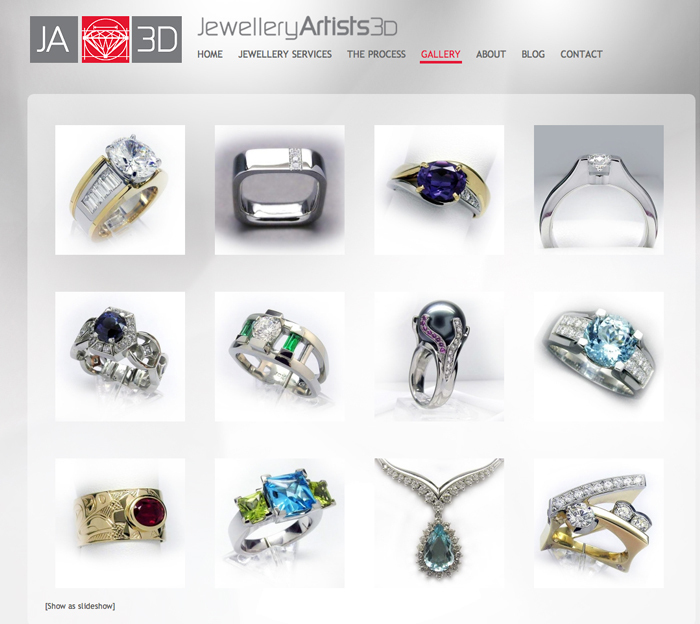 That way, customers can see and understand the type of personal, one-of-a-kind service they can expect from JA3D.